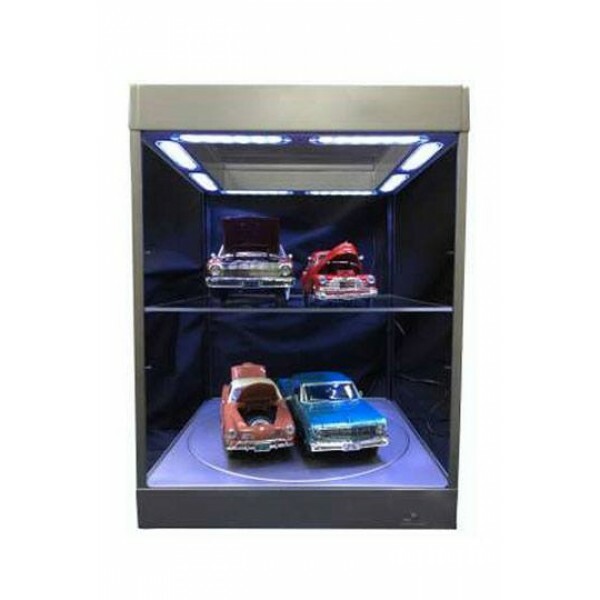 This display case puts your valued model cars in the spotlight and makes them stand out in your collection. 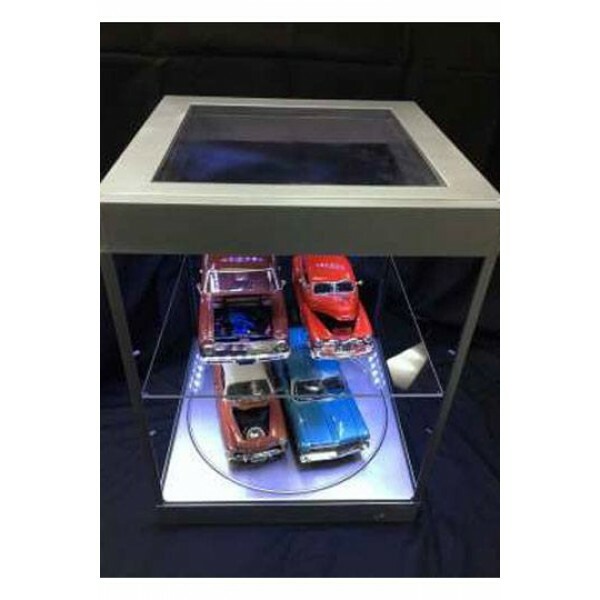 This case comes with LED Light in the the top and a turning table in the base. The case can be powered with a Micro USB Cable which you can plug in your phone or computer. Shelves can be removed for displaying different size of models upto 36cm in height. This Case can hold various model in various scales. Maximum is 4x a 1/18 model. Images are silver but this item will be black.